At around 5"5 I'm not classed as 'petite', however it can often feel very much that way. 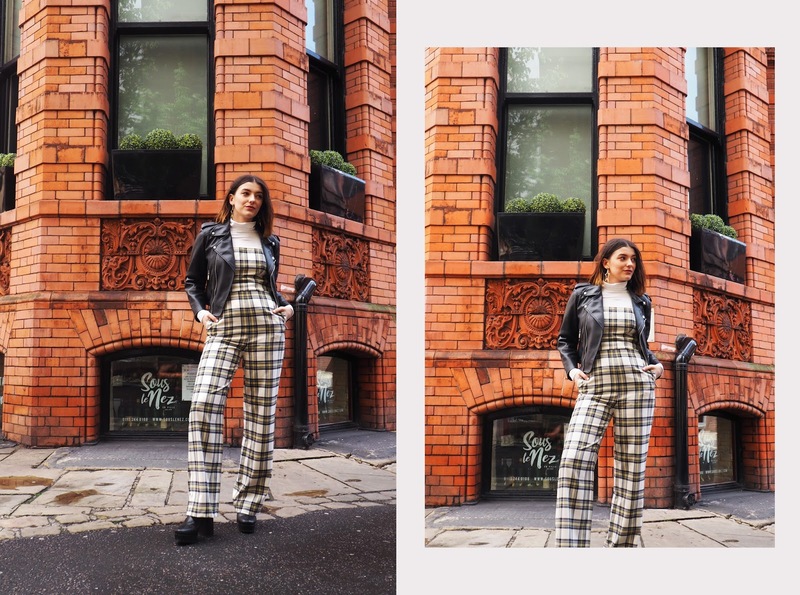 When I first tried this jumpsuit on (barefoot) there was a good 3 inches of fabric flapping about on the floor, however that's nothing a good pair of platforms can't fix! 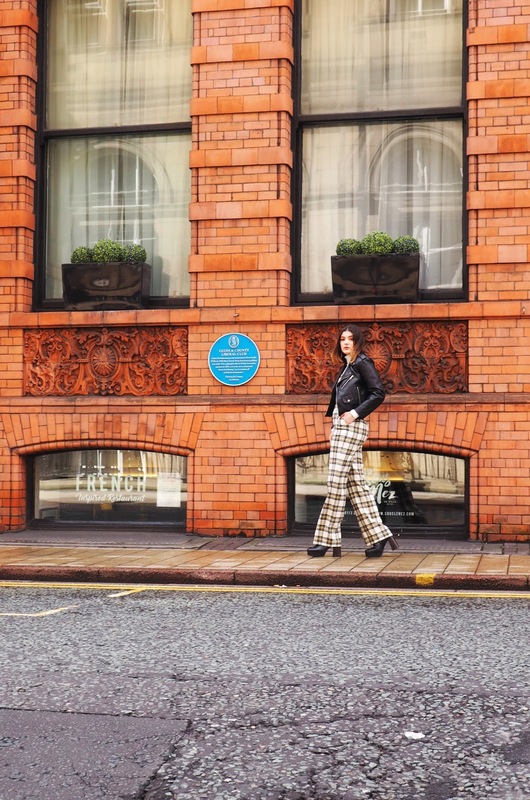 If you struggle the dreaded flipper-look in the trousers department then I cannot recommend a platform shoe or boot enough, they are my absolute style SAVIOURS! Paired with absolutely everything, they are guaranteed to add height, comfort and sass to any outfit - a short gal's dream. Now my wardrobe certainly isn't shy of print and colour, but this is just what I find works for me. 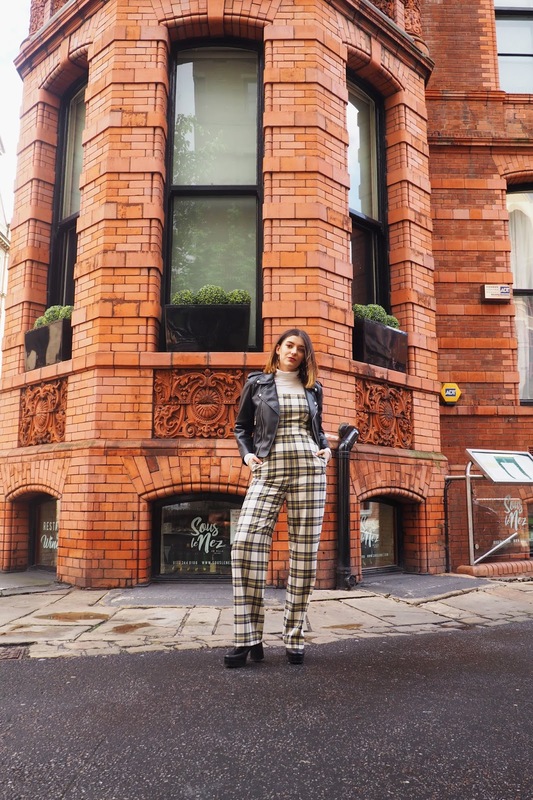 Take this jumpsuit for instance - a wide leg jumpsuit is always a winner for those on the petite side as it acts as the ultimate leg lengthener. Who knows where your legs start or end?! But add in a bold print and the eyes are instantly drawn to the centre of it, meaning your short frame won't even come into mind. I find this generally works with any item of clothing, be it a bold colour or print - if it sits on your smallest part and is a looser fit it generally does the trick. Try to stick to the styles you know suit you the best, and work the rest of your outfit around these. For example, my waist is my smallest part, while my hips and thighs are deffo on the chunkier side. So I dress to accentuate my waist and try and skim over my hip area. 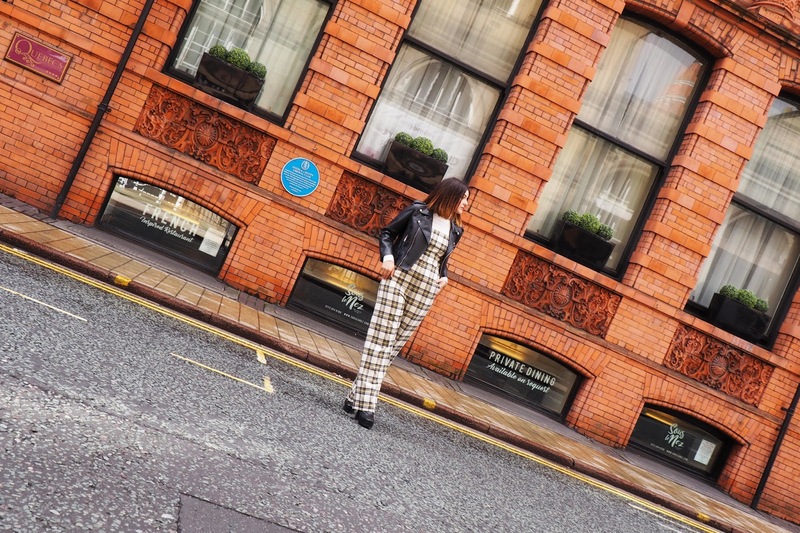 My ideal outfit is a kick flare or wide leg on my bottom half (to balance out my hips) and a cropped, boxy jacket which finishes just on my waistline, creating the illusion of a much smaller waist and legs that go on for days. The finishing touch to my outfits are usually a heeled boot to add even more height to my little sausage legs - a trick which works just dandy. Midi skirts also are an amazing item for us shorties, despite those horrid rumours. Paired with a heeled ankle boot (preferably a sock boot to really lengthen the leg), it makes it seem that your legs start at your waist. Pair with a cropped jumper or tucked-in tshirt, and that's a dream combo right there! 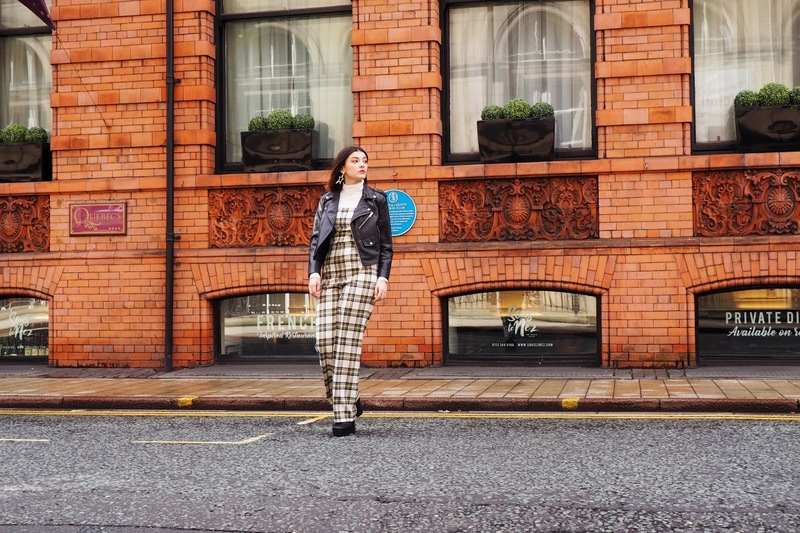 I hope those few little pointers of mine help any of you struggling to style to suit your height? Or if you'd like to see more of these style pointers posts? Do let me know your tips if you have any in the comments below, as this gal is far from a pro just yet! *Although I strongly feel the need to add that if you feel amazing in something, PLEASE just go ahead and rock the hell outta it. This post is simply a few tips I've found helpful when dressing my short arse for the day ahead. Ohhh my days, this outfit! You're an absolute dream, Tasmine! Love these tips too, I'm 5"6 but often have days when I feel quite stumpy hehe.